← On the new NOLA HipHop Archive (VICE. January 2015). 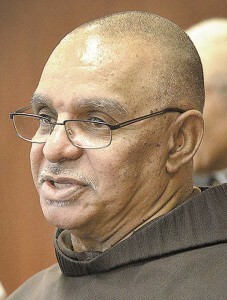 Interview with new Auxiliary Bishop: NOLA native named by the Pope (Louisiana Weekly. January 2015). From his post in Rome, Pope Francis himself recently appointed New Orleans native Fernand Cheri III to serve as the auxiliary bishop to local Archbishop Gregory Aymond. Cheri is particularly suited for a return to his hometown given his passion for archiving music, particularly Black Catholic religious recordings, sheet music and books. Unfortunately much of his valuable audio was stored in New Orleans before and after the flood. “My collection is very extensive,” he says. “I lost 2,300 recordings in Katrina. It breaks my heart to think what I lost: mostly vinyl and tapes.